The music industry is debating the continuing problems of music piracy on the internet, with some players blaming the problem on DRM (digital rights management). 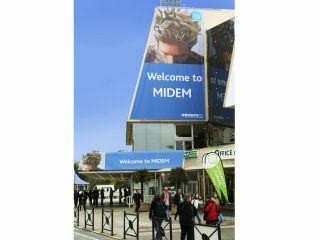 At the annual MIDEM music industry conference in Cannes, France, DRM is a hot topic. David Pakman, chief executive of eMusic , told Reuters that DRM was the key thing holding back the growth of digital downloads today. Real Networks CEO Rob Glaser agrees, arguing that the industry needs to adopt what he called a "trust model". He even suggested that a watermarking system could replace DRM in one to five years. Glaser is adamant that the year the music industry adopts DRM-free music downloads is the year digital music sales overtakes physical format sales. While DRM helps protect music from being copied illegally, it can also restrict which players the music can be played on. eMusic, for example, sells DRM-free music. Consequently, three of the biggest record companies refuse to allow it to sell its music. By contrast, Rhapsody 's DRM-laden tracks prevent them from being played on Apple 's iPod - the leading digital music player across the world - thus restricting sales.